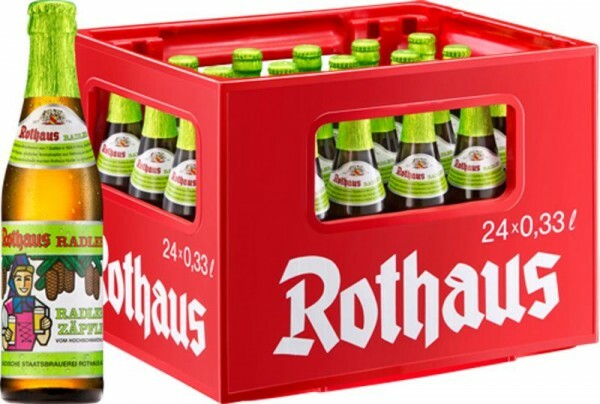 Product information "24 x Rothaus Radler TannenzÃ¤pfle 0.33 L 2.4% alcohol"
The result is an extraordinary cyclists that auftrumpft not only during beer garden season with tangy freshness and low alcohol content. On artificial flavors is consistently avoided. Related links to "24 x Rothaus Radler TannenzÃ¤pfle 0.33 L 2.4% alcohol"
Customer evaluation for "24 x Rothaus Radler TannenzÃ¤pfle 0.33 L 2.4% alcohol"